Pioneering new informatics tools for drug discovery. 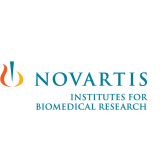 Novartis Institutes for BioMedical Research (NIBR) is the global pharmaceutical research organization for Novartis. NIBR’s mission is to discover innovative medicines that treat disease and human health. The NIBR Informatics group develops cutting-edge, state-of-the-art computing systems and puts them into the hands of our scientists to accelerate drug discovery and ultimately to improve, and possibly save, patients’ lives. Our data scientists are part of cross-disciplinary teams, working side-by-side with biologists and clinicians to test hypotheses based on the data they’re sifting through. Working in NIBR Informatics, you’ll be at the forefront of leading-edge technology – helping to shape it, develop it, and make it impactful. One day, you might be working on small molecules; the next, on clinical trial software, and everything in between: high performance computing; data management, and more. Plus, you’ll get all the benefits of a large company while working in an IT organization with a start-up mentality. You’ll have the chance to wear multiple hats and collaborate in a truly creative and intellectual environment.